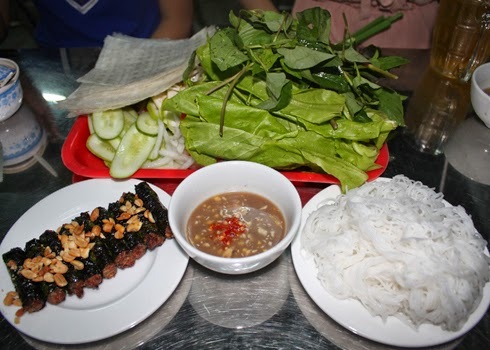 Today, I will introduce one famous dish of Vietnamese Food Recipes. It is Lolot Pepper Leaves Wrapped Beef. This recipe is very likely in rainy season in Vietnam. You can make it for outdoor party. 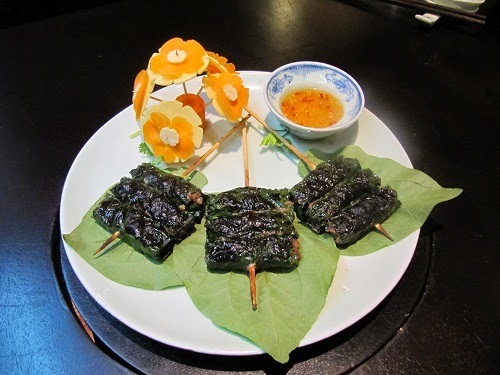 This dish makes by beef and betel leaf which is easy to find in supermarket. Moreover, this recipe just need 30 minutes from prepare materials to finish the recipe. 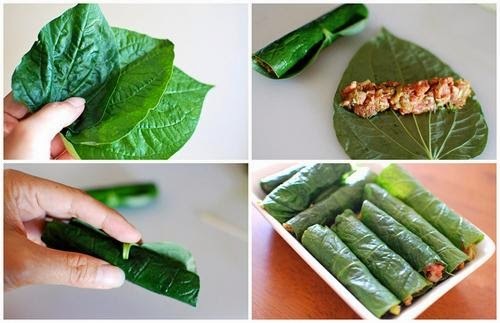 There are 4 steps to make Betel Leaf Wrapped Beef. Follow these steps carefully and you can create one of stunning Vietnamese Food Recipes. Step 1: Choose beef chops and grease, if not to buy meat and fat you can substitute with 300g beef tenderloin and 100g grease pork. 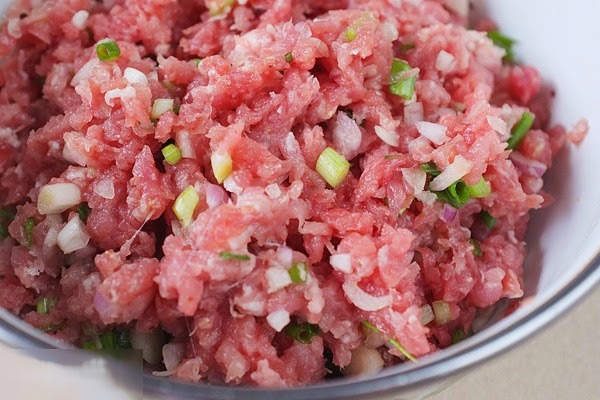 Beef washed, sliced ​​and then chopped. Step 2: Onion peeled, crushed and chopped. 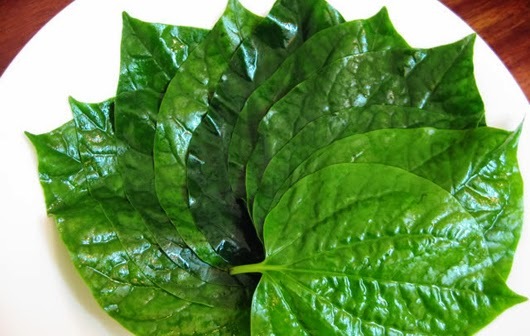 Wash the lolot pepper leaves, cut the leaves to being a square sheet. Then, slice the other part of lolot pepper leaves. Step 3: Mix minced beef, onion, betel leaf, spices and pepper. Add green onion over boiling water until soft. Step 4: Try to do this step carefully because it is very importance to this dish. This step can make the dish be different from many Vietnamese Food Recipes. Roll the beef in lolot pepper leaves, after that use onion to tie this roll. Repeat to all the meat. Turn the oven at 250 degrees for 10 minutes. Arrange the roll on the baking tray, use brush to baste oil on top. - Place the baking tray into the oven and bake for 15 minutes or until the meat is cooked depending on each oven temperature. Finally, you can bring the dish out from oven and enjoy it. In my opinion, Lolot Pepper Leaves Wrapped Beef is the most delicious dish for dinner. In addition, if you can drink beer, this dish will make your dinner become an amazing night. Next time, I will introduce a recipe from Vietnamese Food Recipes which can help your breakfast become greater. I hope you will have a good dinner and see you next time.